Browse: Home / 2015 / October / IE62: Travis Sevilla. An Art Teacher’s Work in Progress. IE62: Travis Sevilla. An Art Teacher’s Work in Progress. An opportunity to share one’s passion as a teacher and help students reveal their talents, is a privilege and honor all educators share on a daily basis. 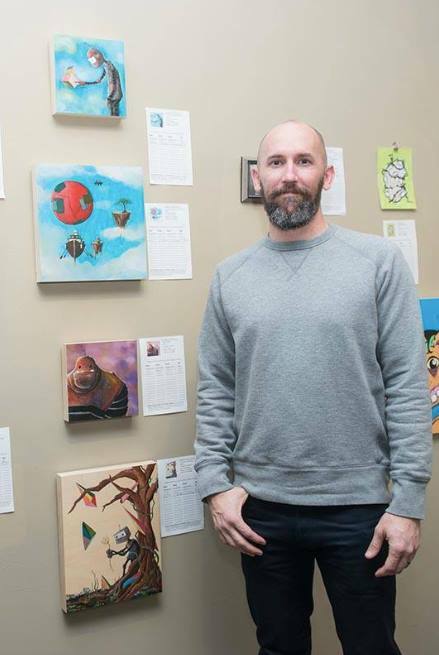 Travis Sevilla is an artist and an educator who has recently found home as a multi-media/art instructor at Canyon Crest Academy. An avid outdoorsman participating in surfing, cycling, bodysurfing, rock climbing, and Brazilian Jiu Jitsu, Travis has a passion for learning from many of his endeavors. His lesson plans frequently translates life’s pursuits and activities by introducing realistic and dynamic projects to students, incorporating the arts and design thinking. With heavy emphasis in creative and critical thinking, Travis’ students perceived limitations and reality are often challenged. 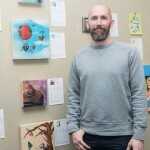 Among recognitions and award received, Travis has been recognized by Otis College of Art and Design as the Art Teacher of the Year 2012 for excellence in arts instruction, recipient of FIDM Teacher Grant 2011 Fellow with the Ahimsa Center for Nonviolence Studies K-12 with Cal Poly Pomona 2010/11, Fellow with the Center for Teaching Critical Thinking and Creativity (CTCTC) with San Diego State University, and a Board Member for ARTHATCH: Teen Art Program.